The following is a series of tutorials on creating a profile, applying for jobs, staying informed about current job opportunities, writing a resume and cover letter, and preparing for an interview. Please note that Carleton only contacts (by email) applicants that will be interviewed. To apply for available positions online, you must first create a profile. Go to the Carleton University Career Opportunities website. Enter your email address in the New Applicant field and click Create Profile. You will be prompted to upload your resume. 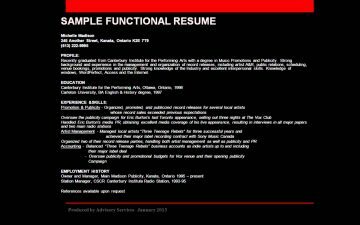 The system will auto-populate fields based on your resume. Fill in your remaining information. Fields will a red asterix are required. Confirm that the information is correct and click Save and Continue. Once your profile is complete, you will receive an email with a temporary password. Login using this password. To change your temporary password click Change Password, enter a new password and click Save. 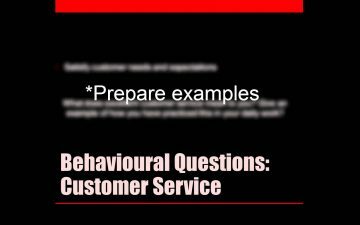 See the video below to walk you through these steps. You can update your profile at any time by logging in and clicking My Profile. If you forget your password, from the My Profile page click “Have you forgotten your password?” and follow the prompts. To change your password, login and click ‘My Personal Info’. Click the ‘Login’ tab and enter your new password in the password field. Click save and enter your new password again. 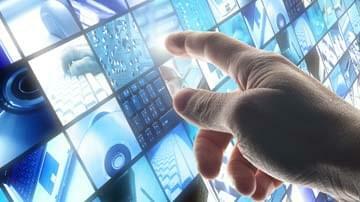 Once you have created an online profile, you are now ready to apply for jobs. 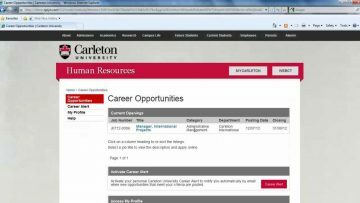 Login to the Carleton University Career Opportunities website. Click on the position for which you would like to apply. Click ‘Apply for this Job’ at the bottom of the page. The My Documents page will open where you can assign certain documents to the specific job. 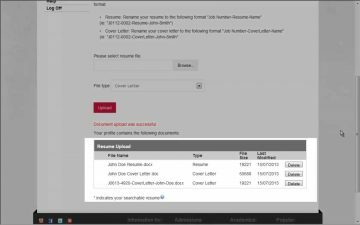 Click the box to the left of the documents you wish to assign to the job or upload additional documents by selecting ‘browse’ and choosing your desired document. The My Jobs page will open. From here you are able to withdraw your application or add additional documents. 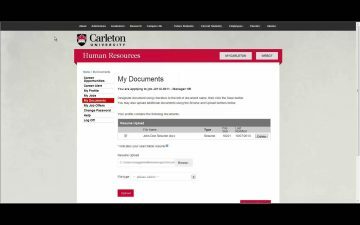 Career Alert and RSS feeds are an easy way to stay informed about current job opportunities at Carleton University. Click the following Job Opportunities RSS feed link. Copy the address from the address bar. Open Outlook and locate the RSS feed folder on the left hand side. Right click the folder and select ‘Add new RSS feed’. Paste the address in the box and click ‘Add’. A new folder called Carleton University internal career opportunities will appear. Select the red Career Alert link at the bottom of the page. Select your job category preferences. You will now receive job alerts to your email for 90 days.